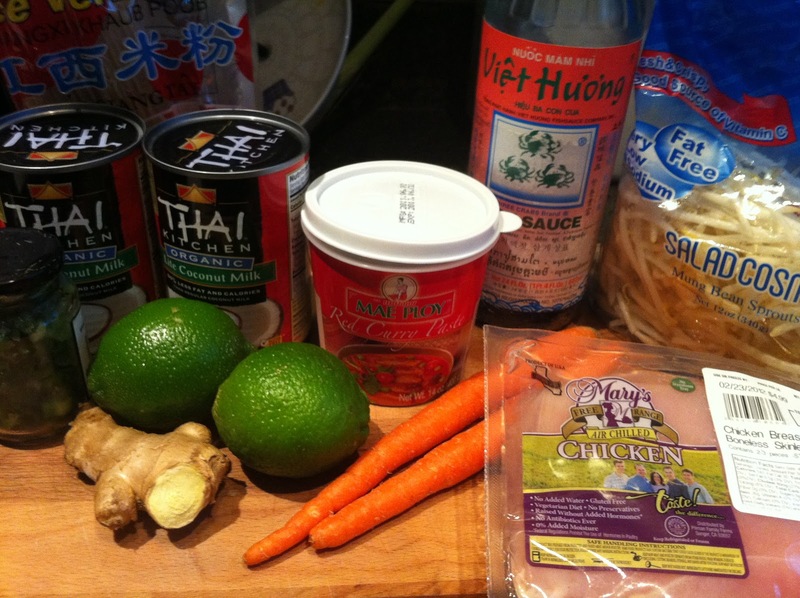 Thai food has always seemed far too complex to attempt, but this recipe is shockingly easy and magically tasty. Probably because the most difficult part of this fantastical assortment of ingredients (the curry paste), is easily purchased in stores. Of course, it’s far more rewarding if you make the paste yourself, but we’re not always going for rewarding. We’re going for awesome. And by gum, that’s what we’re getting! 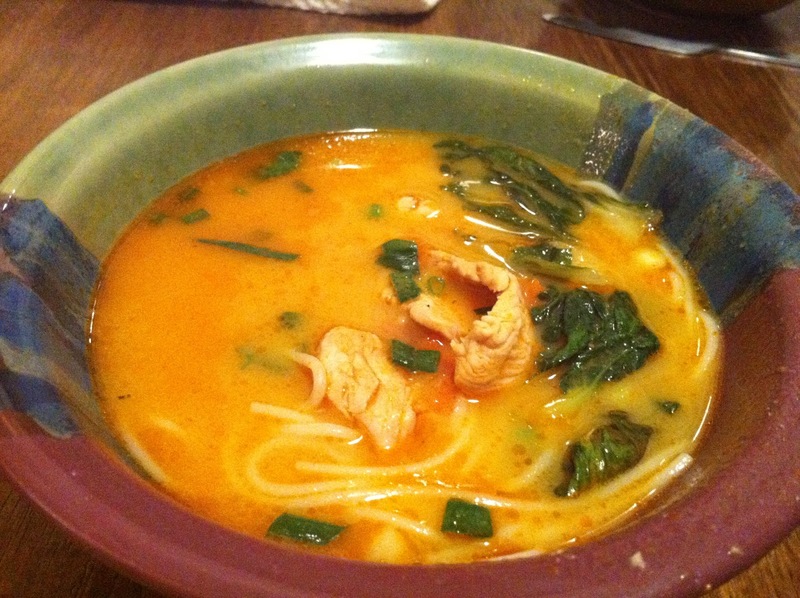 This is a creamy, coconutty, spicy, super duper comfort food that is a strangely Asian version of chicken noodle soup. It’s a multi-layered series of flavors, which is a fancy way of saying that it will rock your socks in more ways than one. Scoop a decent blob of the thickened cream off the top of one of the coconut milk cans and put it in a large pot with the paste over medium heat. The “lite” coconut milk won’t really have this, so just pour some into the pot and go with it. Pretend it’s fattier than it really is, your imagination will do the rest! 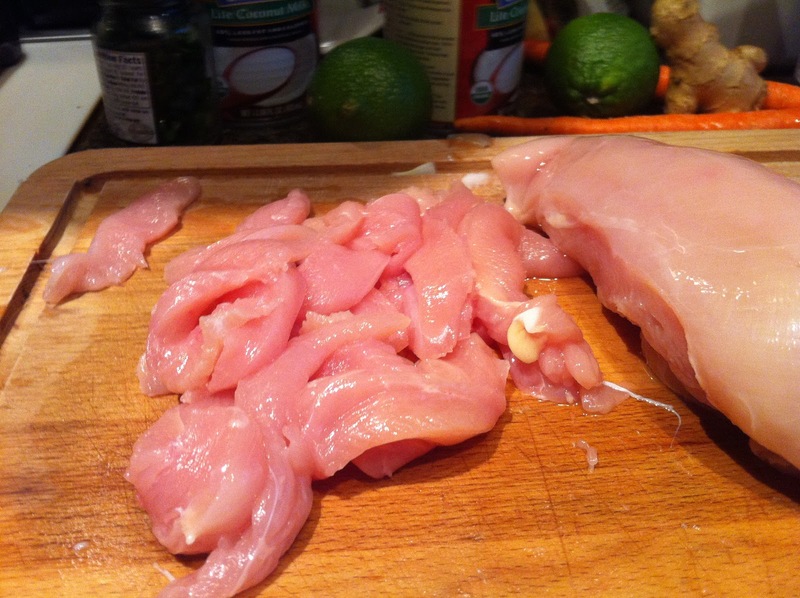 While that heats up, slice the chicken very thinly. 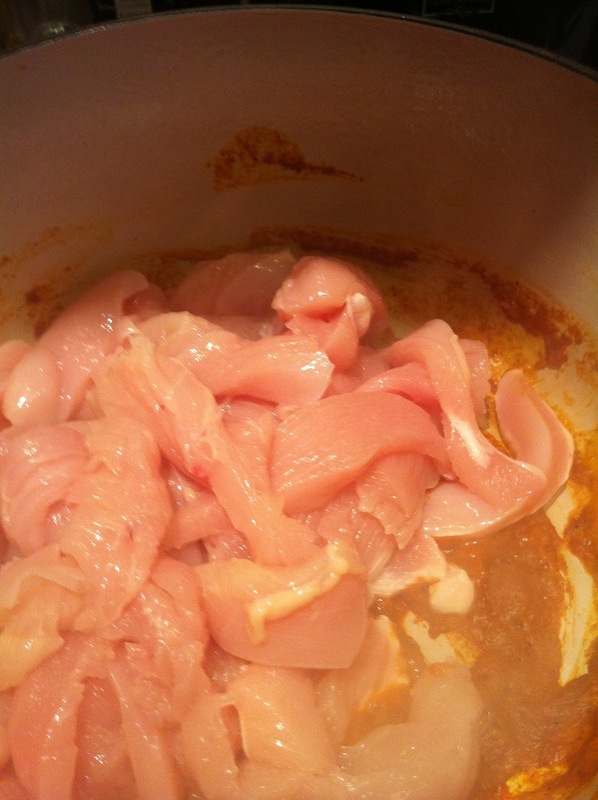 Once the mixture in the pot cackles, add the chicken and cook until done. 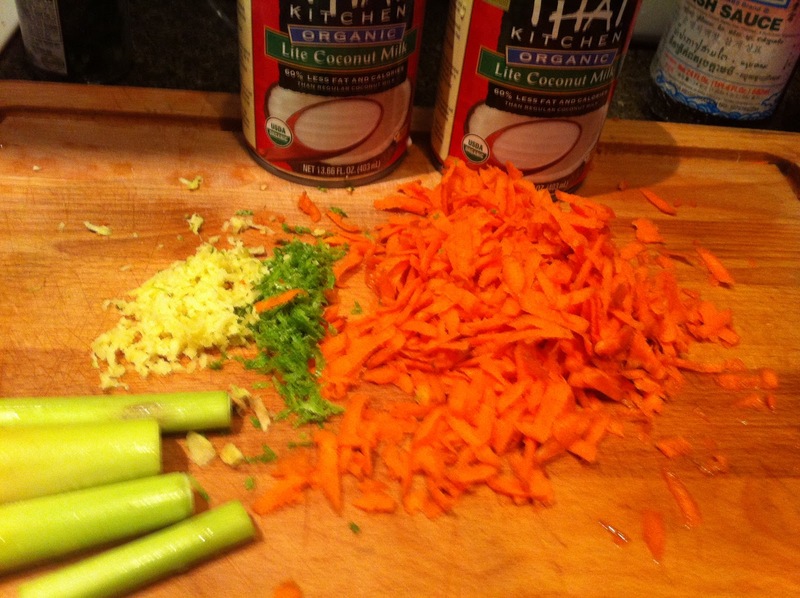 Meanwhile, shred your carrots, ginger, slice the lemon grass into smaller chunks, and zest the limes. 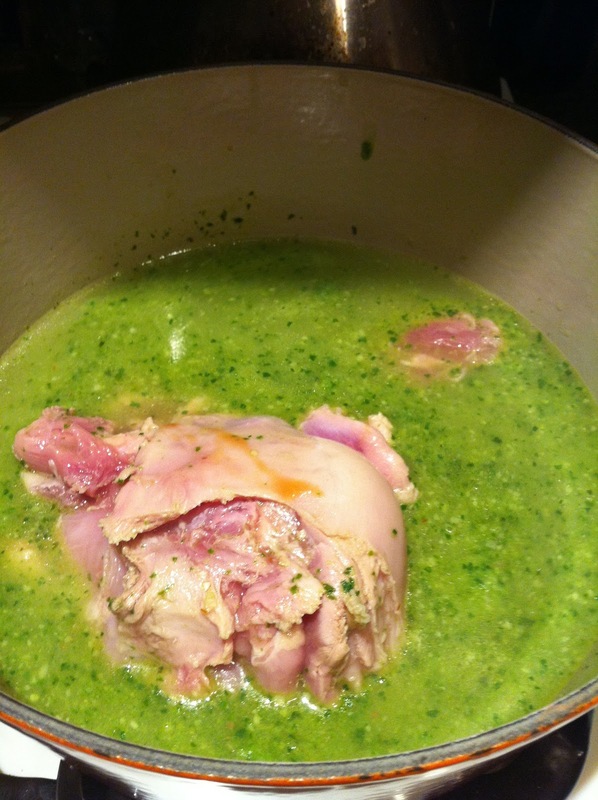 Add the remaining coconut milk, chicken stock, fish sauce, juice from both limes, and the above items to the pot. Bring to a simmer and allow to cook for 20 minutes. Meanwhile, heat roughly 4-5 cups of water to a boil. I added some bouillon pouches to add flavor and fun. Add the rice noodles and simmer until soft, about 5 minutes. 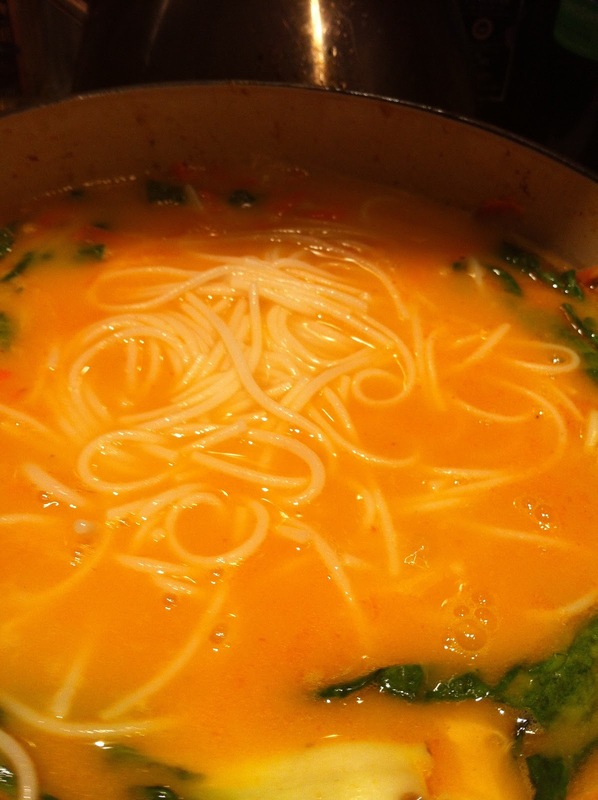 The original recipe calls for the noodles to be added straight to the soup, but I found when I made this before that they absorbed ALL of the tasty soup liquid. We can’t have a bunch of noodles ruining our soup, so prepping them separately and adding them at the end makes the most sense. I also threw in some very baby bok choy in the last few minutes, plus the chopped up green onions. 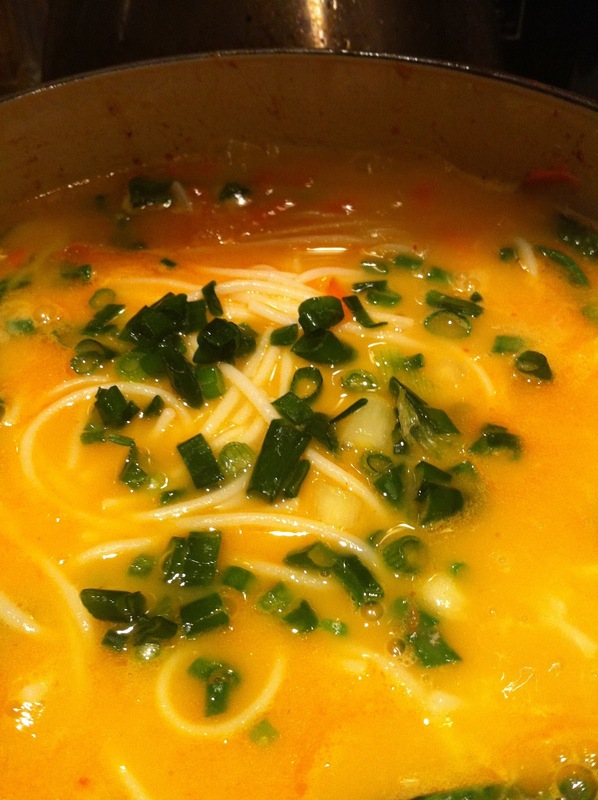 Remove the lemon grass stalks and ladle into bowls. I threw a baguette into the oven to crisp up, which went very well with the broth. Pesto chicken pasta bake. A couple of weeks ago I made a batch of pesto with almonds, macadamia nuts, spinach, arugula, and basil, which was pretty darn smooth and tasty. I portioned it out into an ice cube tray and put the frozen chunks into a freezer bag for later use. Tonight…they called to me. 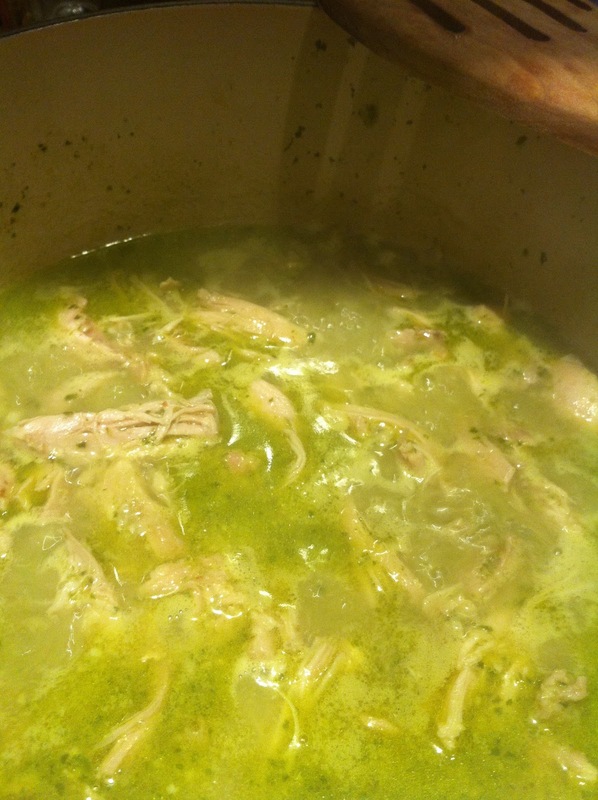 Put the broth, pesto, and chicken in a medium-sized dutch oven and bring to a boil. Lower the heat and cover, stirring occasionally until chicken is cooked through (about 20 minutes). And no, it doesn’t look pretty. Just give me a minute, ok? Geez, so much pressure. The chicken doesn’t have to be completely covered, but this is going to be the sauce for later so you want it to be juicy. 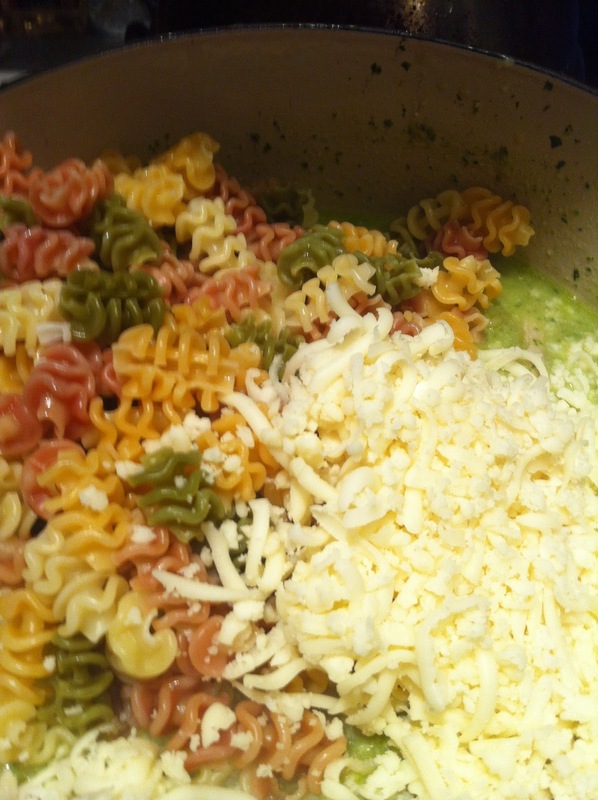 While that cooks, bring a pot of water to boil and cook the pasta. 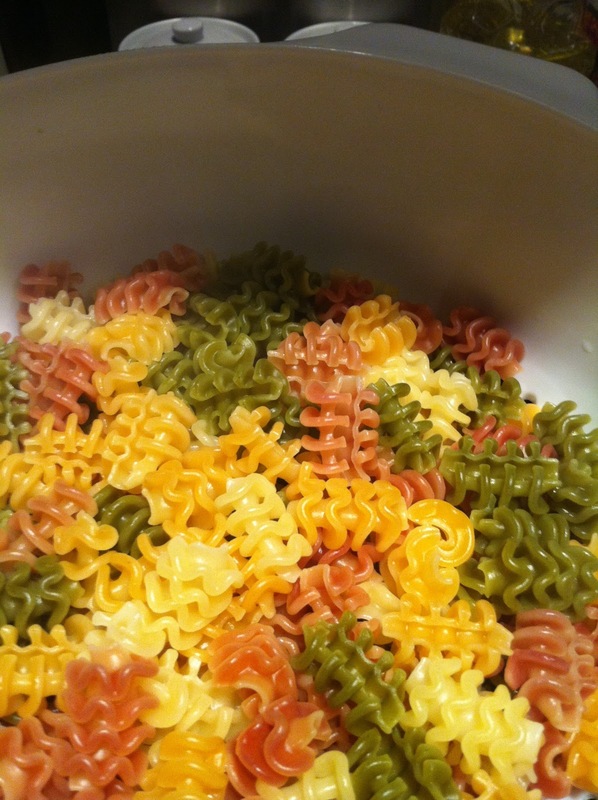 UNDERcook it so that it is very al dente. It’s going to bake with the saucey goodness in the oven, so you want to make sure it’s not fully cooked just yet. When it’s still a bit chewy, drain and set aside. 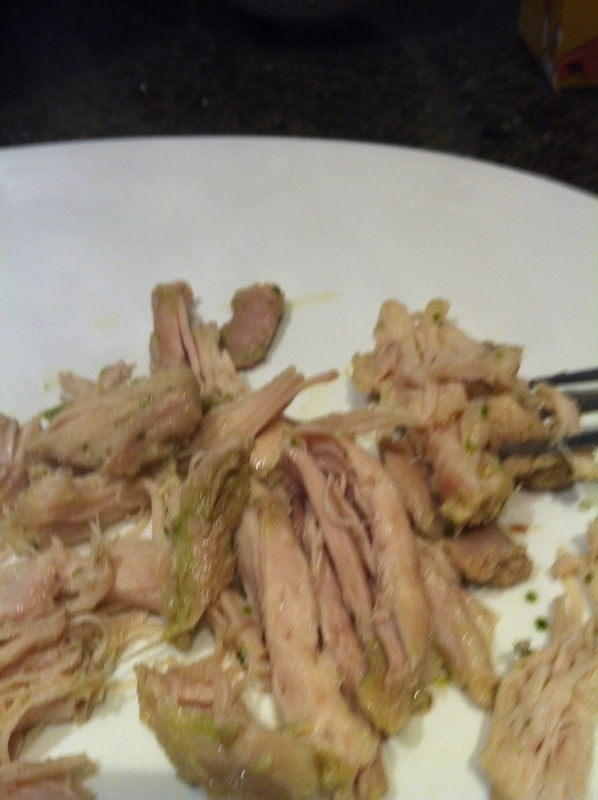 When the chicken is ready, remove the pieces and shred. Place it back in the pot and cook a bit longer. Preheat your oven to 350. 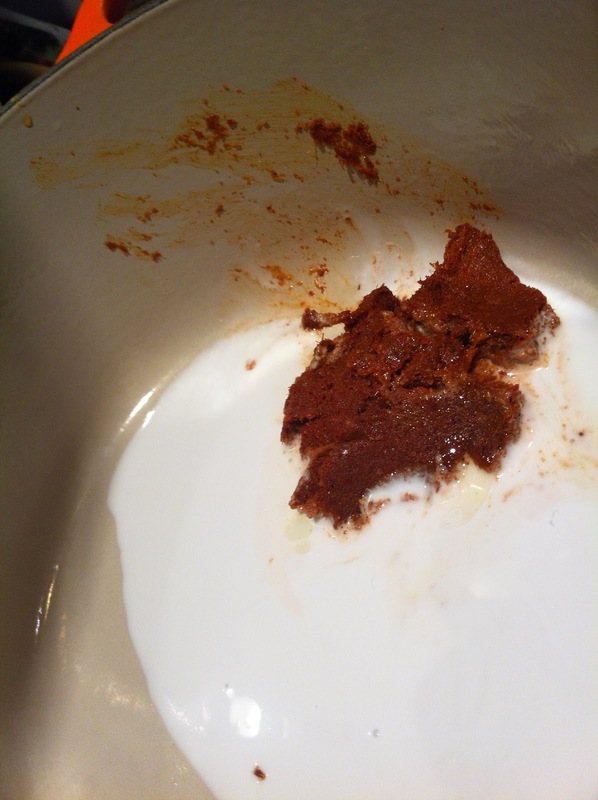 Once it has ruminated for a bit (maybe 5 extra minutes), turn off the heat and stir in the yogurt. 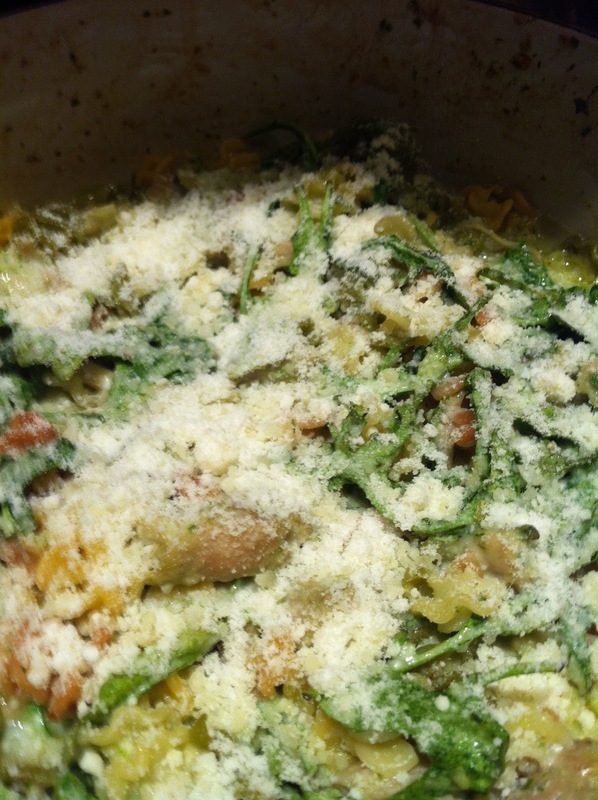 Once it melts in and becomes creamy deliciousness, add the pasta, cheese, and arugula. Sprinkle with some Parm. and cook for about 15-20 minutes, or until brown and bubbly. 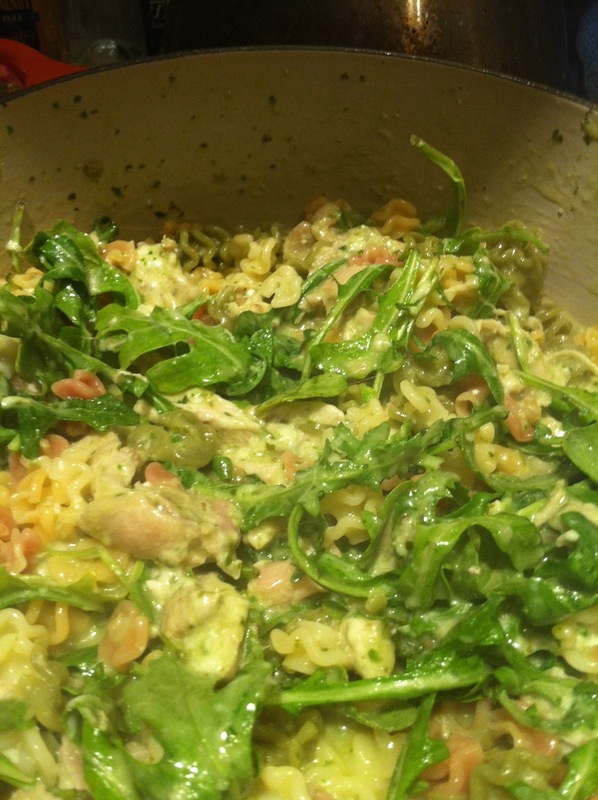 It comes out super saucey and creamy, with a pleasant kick from the arugula.